eUK E3 Standard Dedicated Servers with 4 Cores / 4 Threads & 1Gbit Port Speed. Buy Premium Web Hosting with 10 MySQL Databases and Unmethered Bandwidth. Does eUKHost offer monthly billing option? Yes, eUKHost offers monthly billing cycles. You will not be charged upfront for the entire year in this case. However, it is recommended that you choose at least a 12 months plan to get a bigger discount. If you choose to pay every month, it can be expensive. Are there vouchers available for services besides hosting? Yes, you can use vouchers for virtually all the products at eUKHost as per availability of coupons. Discounts can be availed on domains, email, and SSL certificates. Vouchers for hosting plans are released more often than those for other services. You can easily find promo codes for shared, VPS, and dedicated hosting. eUKHost is hosting solution provider from Leeds with over a decade and a half experience. They are a full-fledge hosting provider with solutions to cater to all business needs and models. They have data centers in Nottingham, Wakefield, and Maidenhead. They have over 150,000 domains under their belt and over 35,000 satisfied customers. If you are a business based in the UK, eUKHost can provide you with the best support. The first thing you need for your online presence is a domain. eUKHost provides domains and you can find virtually any domain extension. 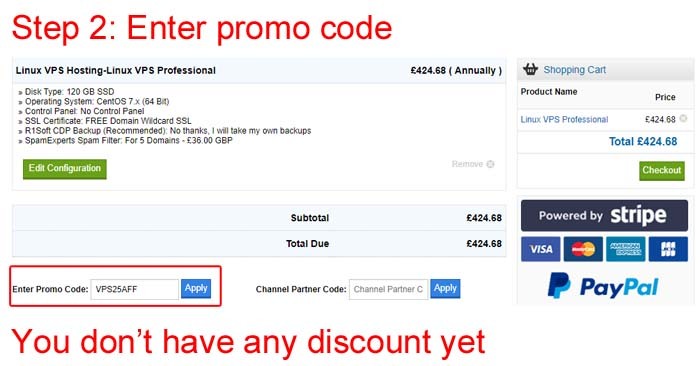 The extension .co.uk is super cheap and with discount codes, you can get your domain at the lowest price possible. eUKHost provides many hosting solutions from WordPress to Dedicated Cloud Servers. If you are looking for a shared hosting plan, there are four options designed to make it easy for customers to choose the type of hosting they want. cPanel plans offer the best cPanel you can think of. The plans are best for small to medium sized blogs and businesses. The Basic plan costs £3.33 per month. The rate is similar for .NET websites that can go for Windows hosting which is optimized for such websites. If you have a WordPress blog, the WordPress Starter plan is also £3.33 per month. For bigger blogs with higher traffic, the Professional plan at £29.99 per month is better suited. For businesses that need to have a nearly 100% uptime, the Business plans are the best fit. eUKHost offer Linux and Windows hosting solutions for VPS Hosting and Resellers. 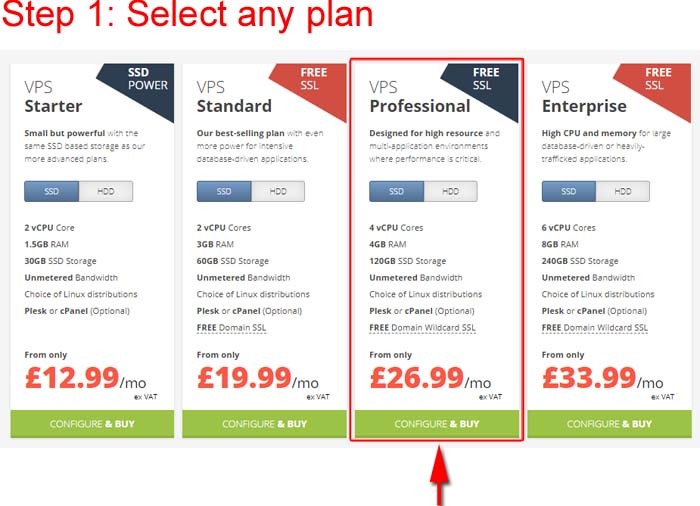 The VPS plans provide managed 24/7 support, SSD storage, high-quality hardware, and fee setup. The plans start at just £12.99 per month exclusive of any VAT. Resellers who host multiple websites can find plans for Linux and Windows hosting both. For both the cases, plans start at £9.99 per month. With 30-day money-back guarantee and scalability, it is the perfect choice for developers. You can easily upgrade to cloud or dedicated servers later on. The Managed Dedicated Servers offer HDD and SDD storage options. There are plenty of server options with varying storage, RAM, and CPU cores. Migration service is free that ensures hassle-free transfer from your previous hosting company. For reliable hosting, you can choose their cloud servers. There are varying plans starting from £38.32 per month. You can design the server yourself by choosing the OS, Control Panel, Backup Site, and Monitoring. You can also choose CPU, RAM, and storage. Cloud servers give you the ultimate power and make your website available to your visitors 24/7. Besides hosting, you can also host email accounts for your business and buy SSL certificates for your website. Email hosting is super cheap and the basic plan called Lite Email costs just £0.99 per month. As for the SSL certificates, there are several products and the most basic SSL for one website is for £29 per year. 1. Select the plan you wish to buy. 2. Now you will be redirected to cart page now you can apply coupon code here. 3. Once you entered promo code it will automatically apply and you will get the discount.